Rumors run wild on social media in the wake of Monday's tragic helicopter crash in southern Israel. Rumors rocketed around Israel Monday night that IDF Chief of Staff Gadi Eizenkot was the officer killed in Monday night's tragic Apache helicopter crash in southern Israel.The rumors were fed primarily by social media, especially the popular Whatsapp messaging platform, in what has become an increasingly common occurrence in Israel. "Not for publication! 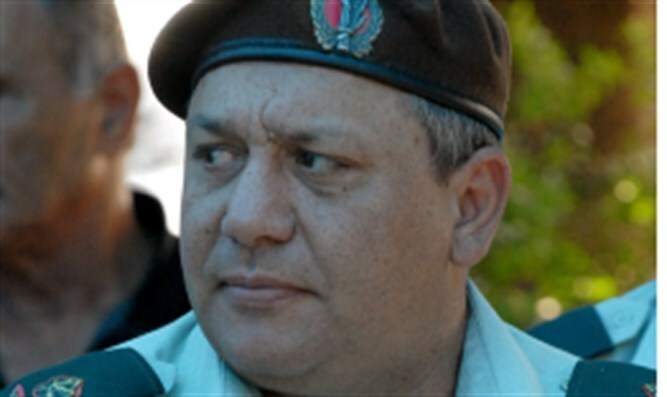 IDF Eizenkot was the IDF Officer killed in the helicopter crash." read the message that swirled around the country. The message was styled in a way common for security forces, and "helpfully" reminded the reader not to share with anyone else. It was only after the IDF Spokerperson's Unit released the true facts of the crash that people learned that Eizenkot was in fact, still among the living. This 'war of the worlds' type panic has become increasingly widespread in Israel over the last few years. Israel's small population, with many of it's citizens members of large Whatsapp groups, enables false rumors to rapidly spread. This phenomenon is particularly common during major security incidents that involve casualties. IDF censors commonly forbid news outlets from publicizing sensitive information until the families are notified, and the vacuum is filled on social media, often falsely, by people who claim insider information. During 2014's Operation Protective Edge, members of the Military Rabbinate's Casualty Unit were sentenced to a prison term after an IDF investigation showed that they had sent out news of the 'APC disaster' while a gag order was still in place, leading some parents to find out about their children's death on social media. At the same time, it is one of the most difficult and not infrequent experiences imaginable to be a member of the IDF hevra kadisha (rabbinic casualty unit) and recognize the soldier whose body is being identified, keeping the information to oneself until the IDF allows it to be publicized. In addition. soon after Gilad Shaar, Naftali Frenkel, and Eyal Yifrach were kidnapped in 2014, rumors went out that they were rescued in a brilliant operation by IDF special forces. These rumors were disseminated late Friday afternoon , and many Shabbat observant Jews were bitterly disappointed to learn Saturday night that this was not the case. While that specific rumor was inaccurate, research done on that period showed that a majority of the rumors spread were, in fact, true. Tracking 13 rumors that had been disseminated by Whatsapp during the period, the research had found that 69% of the rumors proved to be true, and that journalists, army officials and emergency forces had taken part in spreading the rumors. Tomer Simon, who commissioned the research and a PhD student in emergency medicine at Ben-Gurion University in the Negev, had explained that "people experiencing high-pressure events try to assuage pressure by looking for information about the event. Since there was a gag order on the kidnapping, the public was aided by rumors to fill in the information gap."